For more than 25 years we have been doing wedding reports all over the country. During this time there are hundreds of couples who have passed in front of our cameras and who today count as friends. The passion we feel for wedding photography, accumulated experience and a constant evolution in the most modern techniques are essential elements of our work. We perform a kind of natural and spontaneous photography, trying to capture with our cameras all the details of the wedding and avoiding long sessions of inns so that you, the couple, can fully enjoy your great day. As the great photographer Imogen Cunningham said, our favorite photos are always the ones we are going to do tomorrow. We hope these photos are yours. 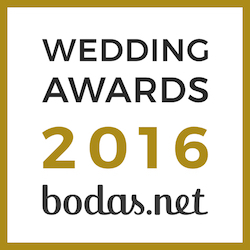 2016 wedding photographers wedding awards.